Bring dimension to a plain wall with the Stratton Home Decor Set of 3 Acrylic Burst Wall Decor. 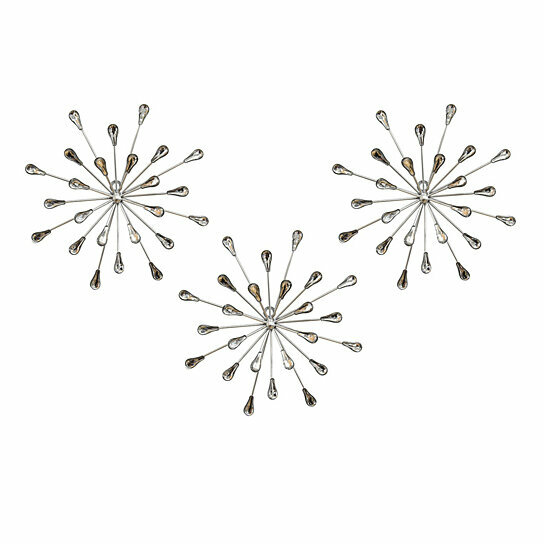 Made from silver metal and clear acrylic beads, these three sunburst-shaped wall pieces are fun and current. Display them alongside one another as a chic accent piece. Care instructions: Wipe clean with damp cloth. Material: 50% Metal, 50% MDF. Color: Multi.